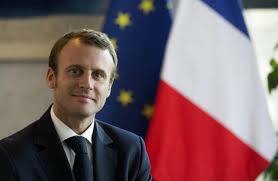 French President Macron on first African trip to Mali on Friday – Royal Times of Nigeria.
. President Emmanuel Macron will visit French troops in Africa on Friday.According to report garthered he is expected to go to Mali where about 1,000 soldiers are based as part of Paris’ West African counter-terrorism force.The source added that the new French government’s first cabinet meeting would take place on Thursday. the French Ministry of Defence, also stated that there are three main French bases in Africa. The largest is at Djibouti, with smaller forces at Dakar in Senegal and Libreville in Gabon. Their purpose is to promote regional security, though the base in Djibouti allows France to exercise a measure of military influence in the Middle East.